A couple of years ago I learned how to make camp stoves out of aluminum cans. 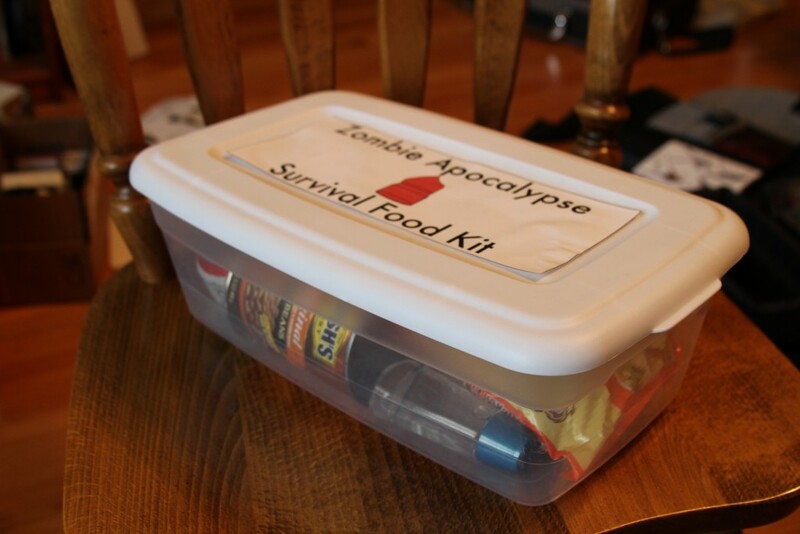 I thought that they would be useful in case the zombie apocalypse becomes a real thing. 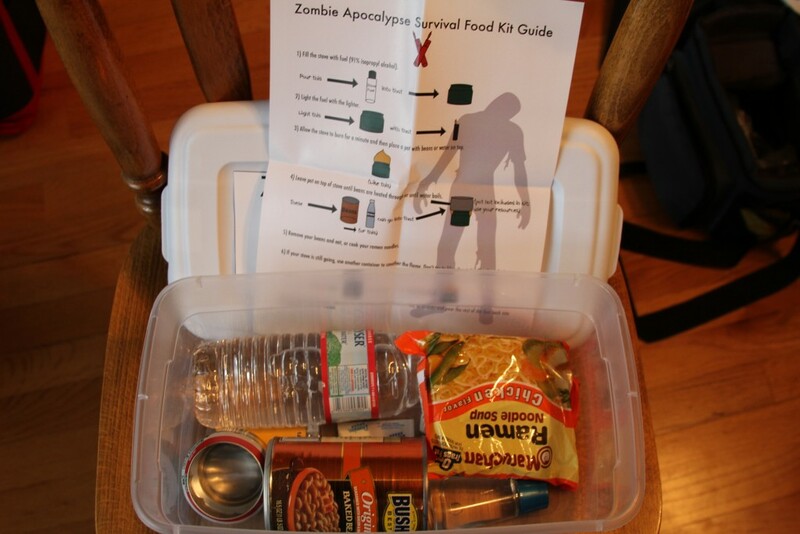 From that I got the idea to make a Zombie Apocalypse Survival Food Kit. Then I gave them out as Christmas gifts. They received a pretty good response and my neighbor even said that it was quite the conversation piece at her Christmas gatherings. Here’s a filled, closed box. I made use of the mounting spray that I used to use for projects in college to apply the label. It isn’t perfect, and I think this box had been in my car for a while, but it did the job. 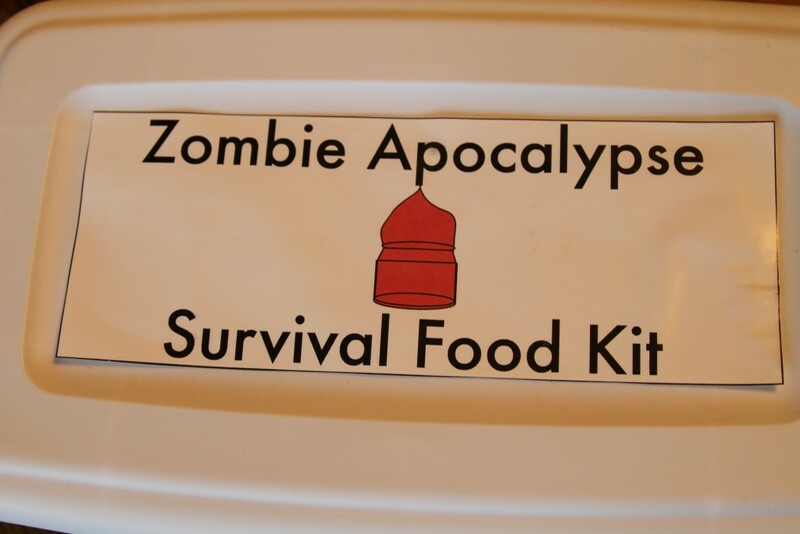 Futura font was used because Futura is perfect for survival. The assembled box has a homemade stove and some food survival essentials. The folded paper is the instruction piece that I designed for the stove. I even managed to repurpose an old makeup bottle to fill with rubbing alcohol (the higher the percentage, the better) for the stove. 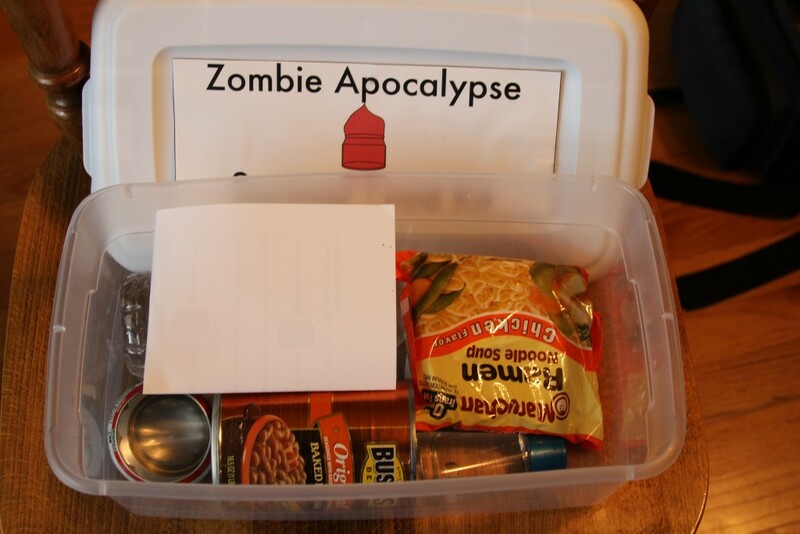 Because you know, in the zombie apocalypse everything is worth something. I’m contemplating revamping these and seeing if people would be interested in buying them, maybe online or locally at the market. What do you think? 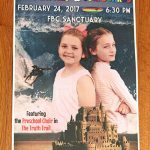 Is there a market for stuff like this?